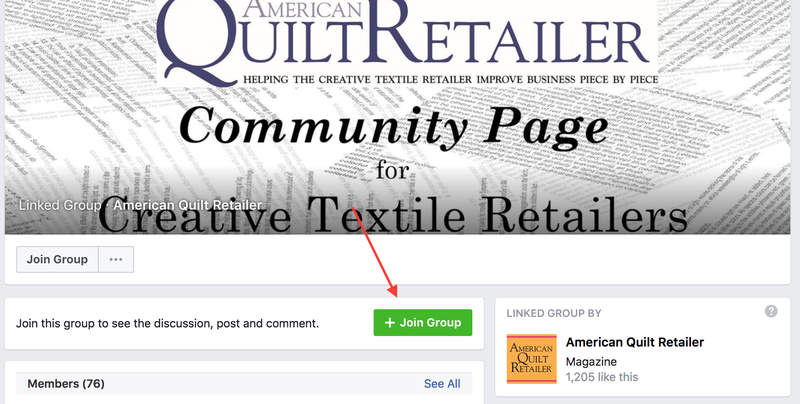 The steps to joining the American Quilt Retail Community’s private Facebook group are straightforward, and the benefits valuable. 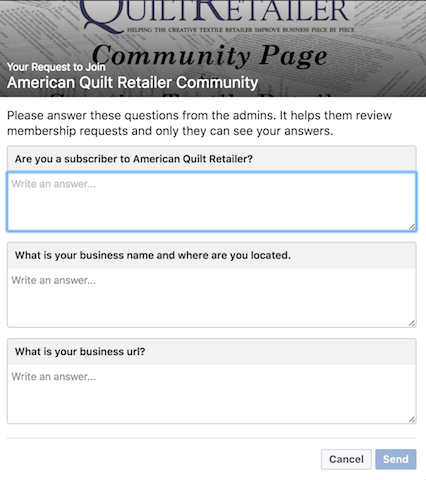 Search for “American Quilt Retail Community” in the search bar. 3. Click on the group that looks like this. 4. Once in the page, click on the green square that says “Join Group”. 5. You’ll then be prompted to answer some questions. Fill in your responses, and hit send. 6. And that’s it! The only thing left to do is wait for the notification that says you’ve been approved. In addition to connecting you with ideas, Facebook groups create connections with people in the industry. And with these connections, comes communication, in one, organized area, available at any time. Need I mention it’s free? The AQR Community Facebook group gains you first access to photos, events, and deals, and provides a community to share your voice. Think about this page as a personal space with American Quilt Retailers, just like you. *Note: The AQR Community Facebook group is for subscribers only.